You can do this activity in your ESL class after you read Tiddler's story for your young learners. 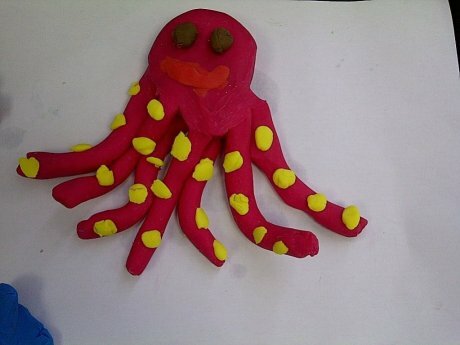 Put them into groups and give them some plasticine, preferably bright colours. Tell them to make underwater scene with Tiddler and his friends. It's a very nice follow up activity as your ESL students have to use English as they communicate with each other in the group. If they are old enough, make them act out the story with the creatures they made.